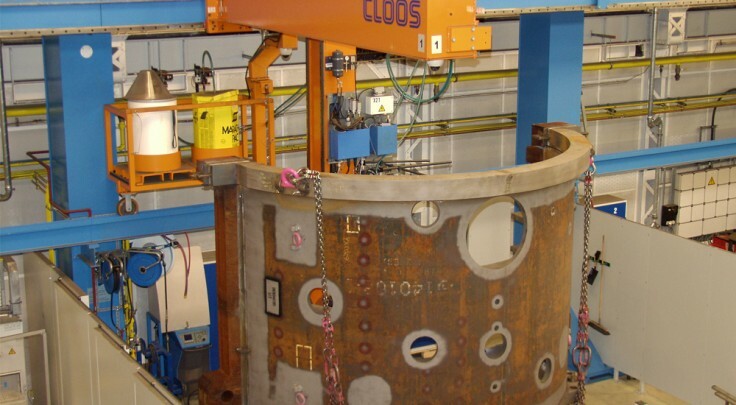 For many years, Siemens has belonged to the group of leading manufacturers in the world with innovative gas turbines for power stations. 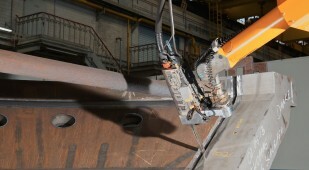 In order to be able to manage the greatly increasing demand and at the same time improve the working environment for employees, Siemens is using narrow gap welding by means of robots for handling huge turbine housings weighing up to 80 tons. 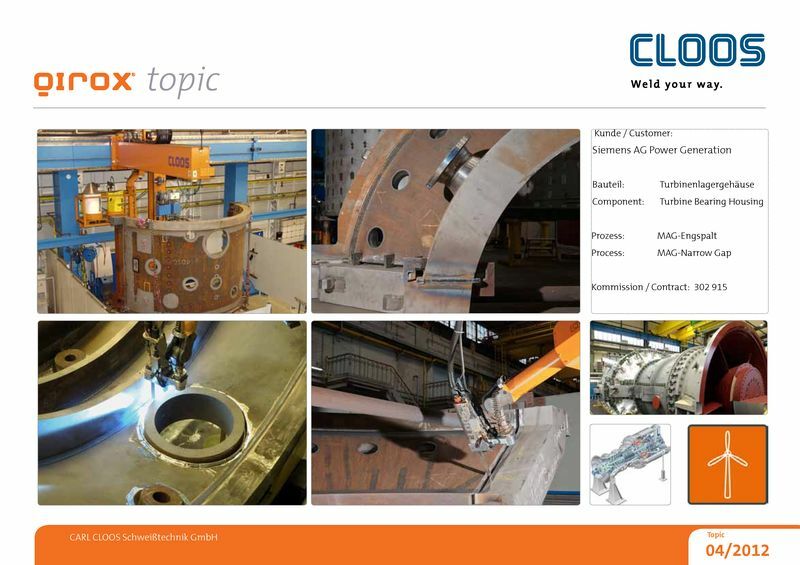 Up to 300 mm thick plates can be welded without an extensive weld preparation. 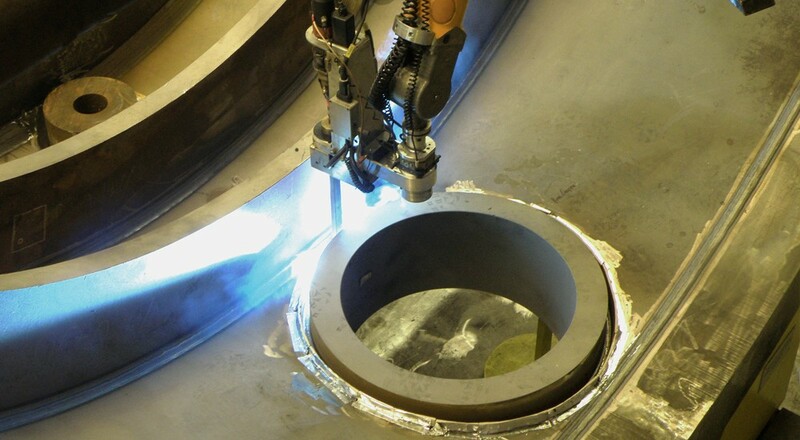 Compared to the previous manual welding the production time reduces by more than 80 %. There is an enormous potential saving with regard to the filler material, shielding gas and power consumption. 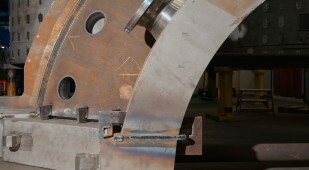 And the relatively low heat input reduces the material distortion during welding. The use of the narrow gap technology considerably increases the efficiency of the robot system and leads to an improved welding result.